If you think you have found a bug or behavior of ActivityMon that you feel as strange one, send us the report - we will be glad to check it and make ActivityMon more suitable to your needs. 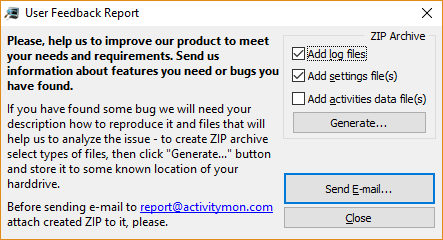 Reporting utility is a part of the ActivityMon installation and can be found in the Start menu: select All programs item and then click the Send Feedback Report item of ActivityMon folder. Click the Generate... button to create ZIP file with the application log files and the other files need to analyze the problem. 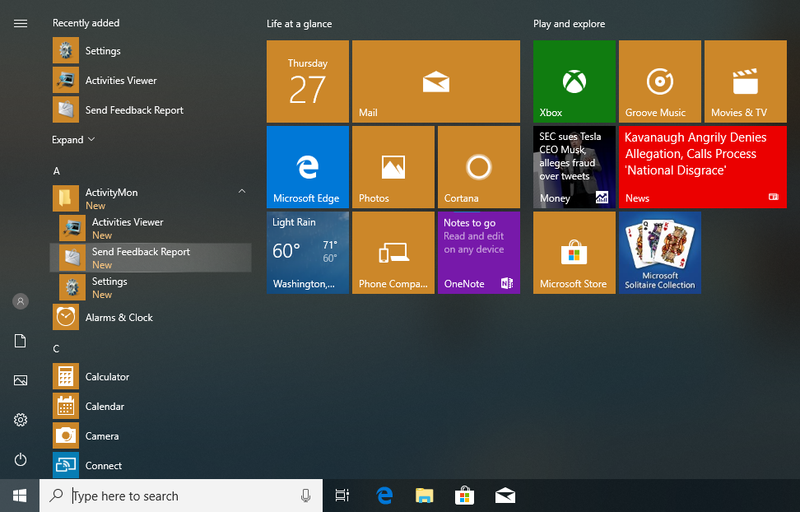 Click the Send e-mail... button to invoke your favorite e-mail client, describe the problem, detailed steps to reproduce the problem, attach created archive to the e-mail and send it to report@activitymon.com.